There were several ways explorers put the discoveries they were making into context with the popular beliefs and opinions for the the time–the status quo. Exploration was done for the good of mankind, in particular for the good of mankind as it existed in Western Europe. Any remnants of the Middle Ages philosophy that Western Europeans and Middle Eastern societies had was mostly left behind when the 15th century began. But some of the symbols of this period remained. 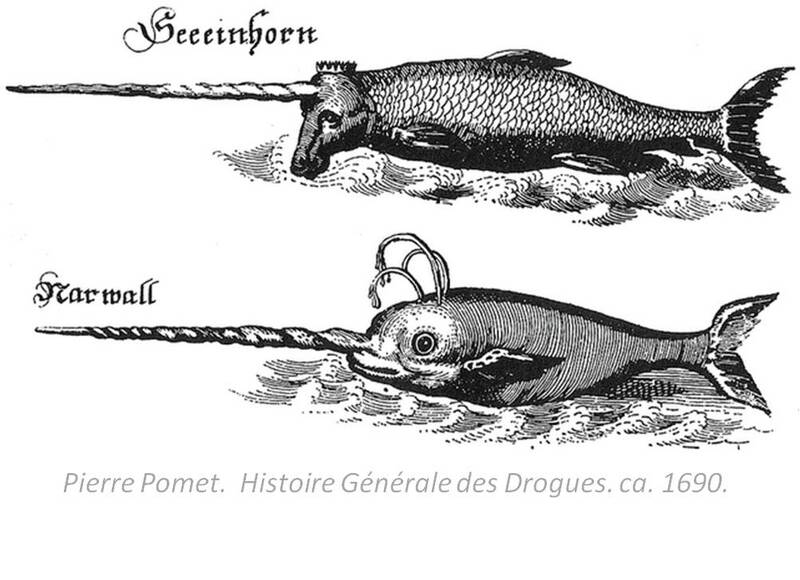 Stories about sea dragons, unicorns, and the great monster of the ocean still managed to make their way into sailor’s stories, and people still believed in many of these legends and myths. Even the captain of a large vessel on occasion had to embrace his own fear at times whenever the strong winds prevailed at sea, whenever the hull of the boat became tangled in the floating beds of algae in the Carribean ocean, whenever he came upon the Manitou in the southern shores close to New Spain and the southern edge of New France. There were a few explorations taking place by countries other than those of Western Europe, but the sudden and rapid growth of Western European culture into its new societies gave its people the willingness and ability to consider their cultural beliefs and ways of living as God’s chosen people. This meant that their life had to be unlike that which was elsewhere in the undeveloped parts of the world, those parts of the world worth exploring. Supremacy ruled where ever technology and inventions made a particular country or nation “the best”, at least in the eyes and minds of western Europeans. It was only a matter of answering the question ‘which of us is going to make it to the top first?’ that pretty much led to all of the chaos that Western Europe went through as fairly one small part of the world decided that it was God’s decision that these few cultures that dominated in this part of the world could now go on to take over the rest of that which existed. 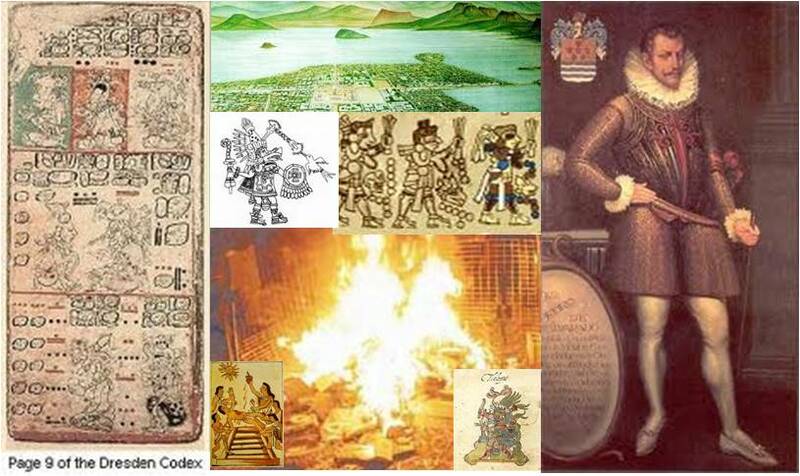 This way in which the fight for supremacy between countries was spread to the New World was first based on topography, and then economy, culture and religion. Topography and the physical form of the land defined where battles could be won and lost. 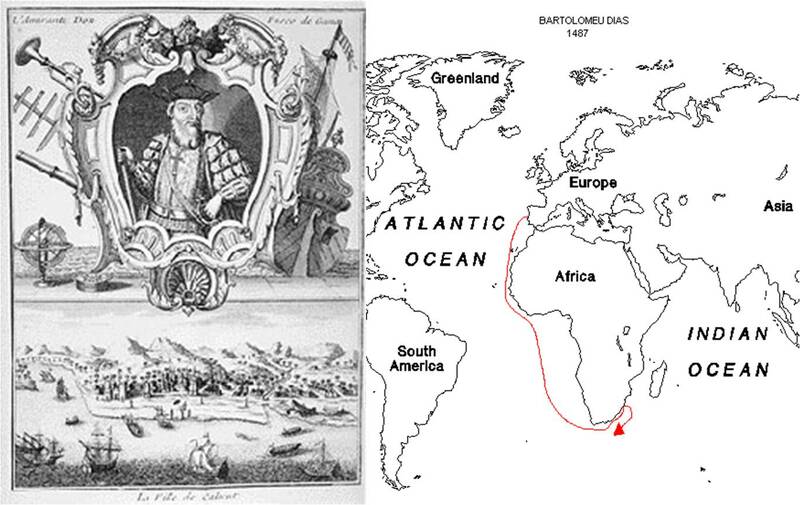 The positions of mountains, ports, channels for ships were the landforms that helped establish the colonies and later help initiate many of the battles that ensued between the small countries trying to make claims to more land, in order to become the ruler of this region and perhaps some of the neighboring lands. The horn of the narwhale made it clear where the unicorns lie. Fossils (of dinosaurs) defined the natural history of the sea monsters and dragons. Together, all of this tells is that it was essentially imagination that defined where everything in the myths, legends and Old Testament had to be. The locations of the most valuable commercial goods were most important to where the first settlements were laid. Natural resources like trees, metal ores, silk, and medicines–the elixir of life–were the commercial goods that guided many of the travels these leaders took in their local neighborhood. Sassafras, the cure for Syphilis promoted by the Queen during the late 1500s and early 1600s made for some of the exploration attempts made of the Florida portion of New Spain and the island alll along the Massachusetts shoreline. During this time, sociocultural beliefs systems, in particular those of a religious nature, impacted these attempts to progress by enabling the creation of new reasons for one political system and culture to take over another. The sassafras leaf had three lobes of the largest of its three types of leaves, all signs of trinity. It was the growing population density of certain parts of Europe that made it possible for different groups to develop their own followers and supporters, and their allies, making it increasingly harder over time for the leading culture for the time to maintain its supremacy. For this reason religion was why particular groups, in need of a psychological and convincing reasons to dominate and take over the physical domains and social ties their neighboring competitors, had to move to the New World, to successfully establish themselves over the next few generations. Well before the Dutch tried to claim North America, there was a turmoil in Dutch culture brought on by the Spanish successfully taking over parts of the land immediately adjacent to what later became the United Netherlands during the very late 1500s. The attempts of the French, the English, the Portuguese, the Prussians, and even the Slavics to take over certain portions of the land next to their own provided some of the lessons later needed for the much larger goals these countries needed to develop. When the notion of finding a new route to highly important countries for trade relations became the main reason for taking new journeys into unknown territories, this alone was not enough to convince others that such political actions had to be taken. The possibility that very valuable goods and the rewards such a captain would get for finding these product also gave that captain and any potential sailors a real reason to engage in this type of exploration. The opportunity to spread your belief system, culture and religion alone would not convince an investor to risk much of his finances, an owner of ships to risk his most valuable wares, or an individual to risk his life trying to appease someone with an idea just because he/she is of upper character, of noble upbringing. Nevertheless, it was these socially and culturally defined concepts that turn the idea of explorations into something that could obtain the support needed of all of these types of risk takers. Unlike previously voyages across the ocean that involved much smaller fleets, this new voyage in the works would have to be able to endure longer periods away from the homelands. Incrementally, the explorers on these European ships had managed to make their way to other countries without experiencing a complete failure in their efforts. Other continents had been discovered that they knew about. Like boys deciding whether or not to make their way into the dark forest, just to see if there is something on its other end that they know has to exist, so too did the most experienced explorers and travellers know that there had to be something on the other end of that great ocean. Because no one they knew was able to make it to the other side, they could only speculate about what was there waiting to be found and taken advantage of. Whereas myths and legends typically took the lead in the speculation about what could be found on the other side, rational reasoning and speculation told them there was something waiting to be discovered. In the least it was the other side of a large place that everyone already knew about, but more than likely there was a place with undiscovered people and wares. 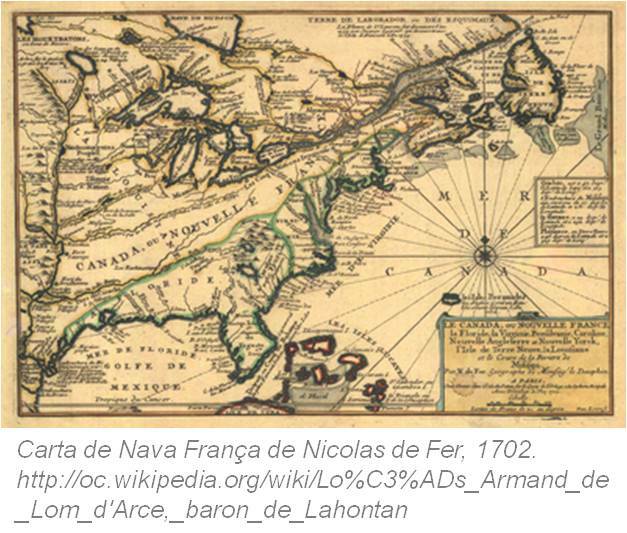 The “India” that the eastern coast of North America once was before Columbus’s time would immediately be interpreted as a missing continent in need of taming and European development. The heathens of Europe’s past were no more, the heathens of the New World were still extant, in need of Western Europe’s assistance, guidance, lessons, and finally dominance. With European dominance and control came European supression. When indigenous philosophies were uncovered, they were described in the notes of the Captain and with time attempts were made to obliterate them from the local settings they sprang from. When indigenous philosophies combined with indigenous attitudes about God and nature were uncovered, attempts were made to either obliterate these as well, or use them to convert a society into a more proper way of expressing this life practice, convert them to Christianity. Throughout these excursions and attempts to convert the people of the New World, the explorers, captains, financiers, all had another goal in mind as well–to find some new resource that could be monopolized and used to improve society as they knew it back in the mother country. This habit of improving upon a culture’s self-subsistence by incorporating other cultural goods into its daily living practices was typical for the Western European settings and is why so many American goods became what they are today. For this review, plants are the emphasis. There were certain plants with philosophies attached to them that Western European attitude and belief came to accept, of change so that it fit into the most current paradigm in European philosophy and traditions. A plant perceived by a Native American group had one philosophy attached to it that had a basis non-existent in European philosophy. There were similarities that may have existed between the American and European ideologies, but the foundations of these similarities were completely different. An old medicine man did not think like Galen or some ancient Greek philosopher and imagine four humours running through the body. Instead, he/she understood the body using his/her construct of reality based on such extracorporeal things as nature, weather, climate, and direction. Animals and spirits played a role, but nothing like the unicorn, dragon, or serpents that each and every European believed in when the first European set foot on the shores of the New World. 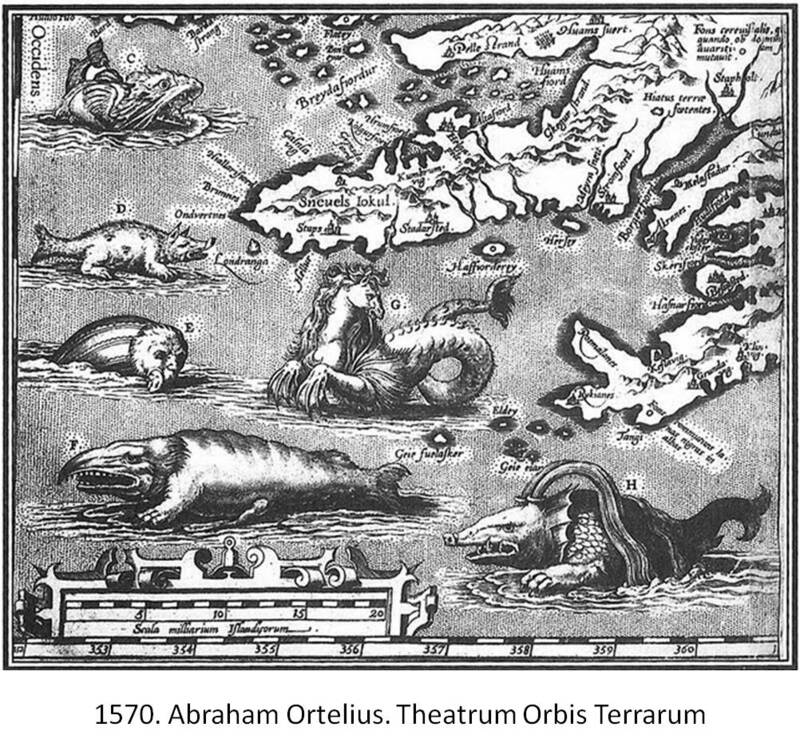 When the European explorer came to ask the indigenous people about dragons, and drew up an image of what one might look like, to those in conversation with Cortez about this the Manitou might be imagined, to the French Jesuit territory tribe leaders, it could be the Sturgeon of the large rivers traversing their distant hinterlands lands,. to the inuit, the unicorn and serpent that the Europeans believed in was equivalent to their animal manifesting itself in the upper arctic regions–the narwhale. This same transformation of beliefs took place with the concepts of the cause for disease, and the reasons or philosophy provided as to how to treat these conditions. There are several popular themes that are different between cultures, but are shared between cultures in that they are important to defining how one interprets disease and health, and how one determines how best to treat that health problem that exists. Second, plants and people adapt to their surroundings and react with the content of these surroundings. In other words, plants that are in a region have some reason for becoming what they are; the snakeroot is there because the snake is there, and all areas with snakes more than likely have such a local snakeroot for use in case of need. Third, plants can be physical in their actions upon us, or they can be metaphysical, and sometimes perhaps both. The mood changing plants, hallucinogens, sedatives and stimulants all have an ecological purpose related to these effects. These purposes might have initially related to animals, but with time came to serve a more important role serving as a benefit for man. Such a relationship between man and plants then improves upon their chances for survival, and ultimately leads to a co-evolution of man and plants together. Fourth, where much of philosophy can be static in its development, materialistic interpretations are not. So a plant that has metaphysical meaning to a Native American culture retains that philosophy so long as the culture and society exist; once that culture and society change, and adapt some new ideologies proposed to them, the underlying metaphysical basis of plant medicine philosophy also changes. In this way a once metaphysical medicine plant becomes a plant with physical or physiological cause for its uses. In this way the snakeroot symbolic of snake spirits becomes a plant considered physiologically active against something in the body that resembles a sign or symptom of the previous snake intrusion/extrusion related problem. Instead of removing the animal spirit causing the illness, by providing a root medicine you believe you are providing the physical cure for whatever ailment you are treating. Most of the earliest notes on plants discovered by early explorers lack the metaphysical explanation, focusing mostly on the physical and ideological reasons the Europeans were interested in learning about for taking advantage of these plants in the New World as new natural products to market. In the examples and notes taken on these early explorations that follow, we see that there is an emphasis on value more than meaning. When a topic like the medicine man is covered, it is the value of the medicine being practiced that becomes the focus, not the psychology and philosophy. Understanding transcendence in another cultural setting is not one of the Western European explorers greatest philosophy skills. To understand Western European philosophy, go to John deLaets early 1600s description of Indian Corn as Turkish Wheat, putting this New World product into perspective by comparing it with an Old World product many are already familiar with. George Alsop in 1666 provides us with a unique rendering of the codes God left in plants; this is traditional and is believed in for generations to come by later colonial settlers (see the section on Jesuits in New France and their take on the Sassafras, notes on Josselyn’s journey of 1673, or my review of Jane Colden’s work, 1750-1760 for more on this). Two years later, Gabriel Thomas provides insights into the ways in which European scholars interpreted the Native American plants and their uses; this ideology would repeat and is expected for nearly all descriptions of the explorations published out there. In 1670, the spread of small pox due to these explorations is assigned philosophical meaning by Daniel Denton; similar beliefs are found in some of the early missionary writings of the New York region. The following writings have been reviewed and notes taken on this period in the early ethnobotany history of plants. Many documents unfortunately only refer to plants in passing. Due to the amount of time taken to review these books, most with no success, I decided it was necessary to note even these resources here. This is the reason for the “No Notes” entry that often appears in this annotaed Bibliography. This particular listing of classic readings serves more as an example of the various meanings explorers first assigned to the New World, its exploration, and future habitation. See also the New France section for more on the early explorers notes. Local medicine worth noting: Castoreum. In terms of the amount of writing Lahontan produced, it is a surprise that he did not detail too much about indigenous medicine. By the period in history enough explorations had taken place to provide Lahontan with the background needed to include a decent review of the local cultures and their medical philosophies and practices. Still, he does not produce such a writing. In many earlier voyages written about by Spanish and Portuguese (plus some early New France voyages), this basic anthropological knowledge is a standard for the recounts of these expeditions. It would take a while for Europeans to grasp the essence of traditional native American philosophy and tradition in medicine. For this reason, the most fascinating news comes out first, such as stories about mystical healing practices, beliefs in Manitou and other natural spirits, and the philosophical implications of their attire, musical instruments, weapons against natural spirits and for use in war, manners and practices engaged in for humanizing the animal spirit, making it a part of one’s body and energies. These attention getting stories are then followed by unique claims about new medicines, a potential tree of life, miracle remedies and the like, findings akin to the philosopher’s stone or ens veneris. Only the castoreum is noted, an animal, source of oil, fats, skin and medicine already well known due to the numerous industries for its pelts that already exist. This sets the stage for how some people would interpret our natural resources from this point on. Throughout history we find numerous natural products or resources (spings, mineral springs, suplhur extruding swamps, caves, tar pits, oil-rich holes, etc.) that mimic those already in use elsewhere in the world, especially in Eastern Europe, another region shrouded by a similar cloak hiding its mystery and fascinating tales yet to be told. People tend towards assigning some personal meaning to places and things when they make discoveries–the discovery of North America was no different. The castoreum symbolizes the unity some hoped for in the world, making newly explored regions not as scarey as they could be, only inhabited by a culture that we have yet to learn about, yet to convert to the more appropriate religion and lifestyle. 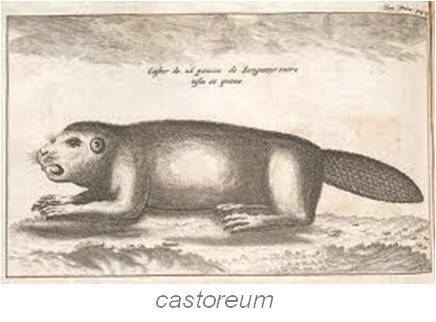 To Europeans the castoreum was a sign of new wealth, to indigenous peoples it symbolized nature and sustenance. 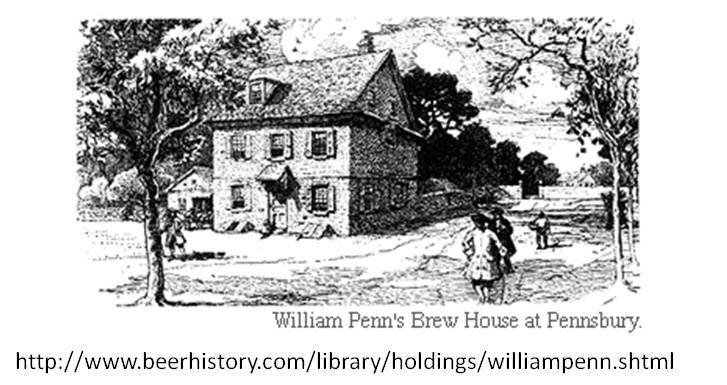 Research Note: See full text for “Narratives of New Netherland, 1609-1664. J.F. Jameson, ed. ” at http://www.freefictionbooks.org/books/n/4057-narratives-of-new-netherland-1609-1664. Texts noted below that can be reviewed at this site are so indicated. In his recount of Hudson’s Voyage in 1610, Emanuel Van Meteren, noted “white and red grapes.” Upon initial inspection, the Bittersweet vine (Celastrus scandens) may have been viewed as grapes, if inspected from a distance. The Moonseed (Menispermum canadense) (which has a toxic seed which usually passed through without poisoning the herbivore) resembled the edible Vitis, and must have been eaten by mistake by early explorers and settlers. If so, it would have been described as having a bland taste (or for aged fruit very bitter), and tended to grow early in the year along the southern and middle parts of the Atlantic coast. Corn was referred to in the earlier exploration years as “Turkish wheat.” See for example Johan de Laet (1625-40), p. 48, Nicolaes Van Wassenaer (1624-30), p. 69, and David Pietersz De Vries (1633-1643 (1655), p. 218-220. In his letter dated 1628, Isaack de Rasieres noted Maize. In 1650, Cornelis Van Tienhoven mentioned Indian Corn. Isaack de Rasieres to Samuel Blommaert, 1628. 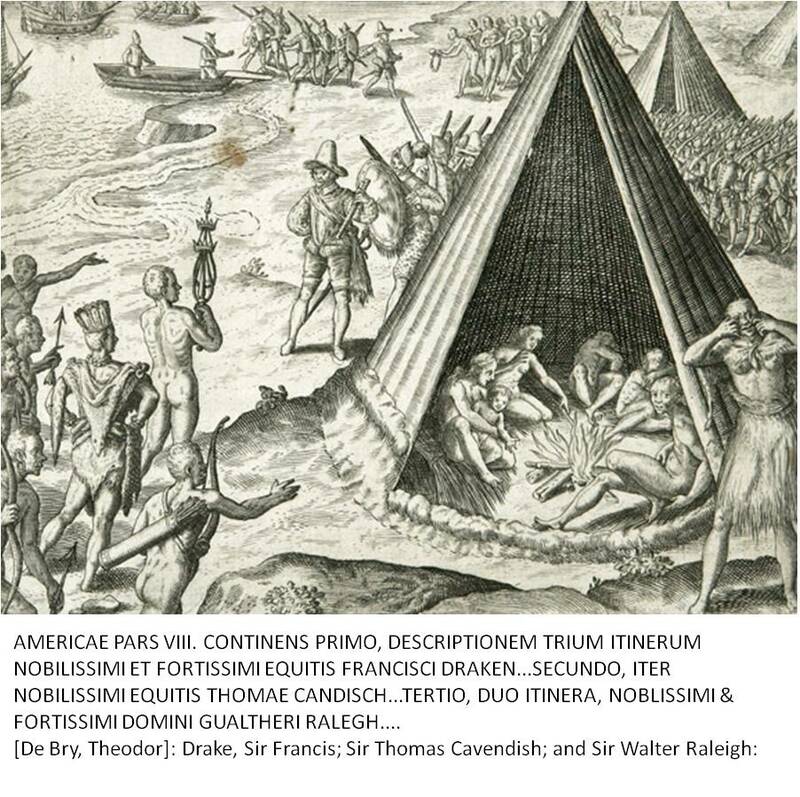 See http://www.mayflowerhistory.com/PrimarySources/IsaacRasieresLetters.pdf or http://www.freefictionbooks.org/books/n/12684-narratives-of-new-netherland-1609-1664?start=1. A biography of Blommaert is at http://en.wikipedia.org/wiki/Samuel_Blommaert. Johan de Laet, 1625, 1630, 1633, 1640. Johan de Laet or Johannes de Laet (1593-1649) was director of the Dutch West India Company. His description of the New World included mention of “Lonen poplar woods” [“Loonen poplar woods” = “soft poplar woods (Dutch)]. His 1633 book Novus orbis (Amsterdam, 1633) contained a fanciful depiction of the fauna and flora of North America. 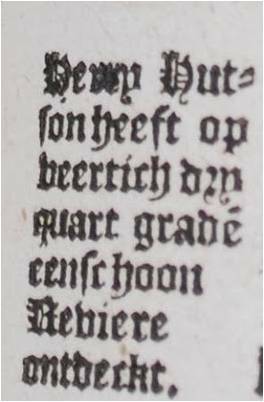 For “Turkish wheat,” see Johan de Laet (1625-40), p. 48, and Van Meteren notes above. David Pietersz De Vries, 1630-1633, 1643, (1655). Corn. For “Turkish wheat,” see David Pietersz De Vries (1633-1643 (1655), p. 218-220. Reverend Megapolensis had his European experiences and the Old and New Testaments to base his interpretations upon. The scholarly European aspect of his writings pertain to the anthropology of the indigenous lifestyle. The cultural anthropology-like writings during this time in history of course were riddled with cross-cultural prejudice. Whereas the prejudice of some of these writers was minimized in some of the interpretations, we can still find examples of misinterpretations of meaning added to the text by most early writers trying to describe the American Indian culture. Middle to late nineteenth century historians and anthropologists tried to remove some of the prejudice from their interpretations of the past, but due to the financial value of many of the physical evidence that existed, and even some of the artifacts of culture yet to be considered old or antique, prejudice and money remained some of the major impetuses for these writers and researchers, many of whom were engaged in these ventures due to a personal goal of proving various Biblical writings. The religious teachings form the second part of Megalopolensis’s philosophy. The majority of interpretations he and later missionaries would make were for the most part based on the Book of Moses and Old Testament. A discussion of Jesus Christ was very infrequent during the pre-1800 Colonial and post-Colonial missionary writings about the New Countries being claimed and settled. Megalopolensis was no different. The following section delves into the worship of God versus the Devil. This is one of the most commonly appearing statement made in Christian writing about Native American culture and philosophy. To the outsiders coming in, the shaman is possessed by demons or is in communication with the Devil, even though many of the same processes that were engaged in as part of a communication by Shamans with a higher power tended mimic those of many missionaries and the dreams and visions they so strongly believed in, or their claims for visitations by past spirits and angels. One occasional belief that appears at times (although I cannot recall another for the time being), is seen especially in the New France Jesuit documents. This is a discussion in which the writer is trying to answer the question–‘has God also conversed with heathens?’ The possibility that God may be able to communicate with Native Americans was hard for most missionaries to accept–after all they were “heathens”. Still, on occasion certain parallels are made between American Indian oral history and tradition and the Old and New Testaments. Father Louis Hennepin of the Jesuit Missions for example believed that the Natives of the New World were the missing tribe of the Jews. The question was obviously raised socially quite a lot during the early 19th century, enough to enable one individual very interested in the possibility that the Indians knew their traditional God, but forgot the character of God or had another interprtation of His character other than that believed in by European old time traditions. This popular culture attitude about heathen versus Christian religious practices and beliefs led one religious leader to even propose a new story of the Native American tradition with God and Jesus. Of course, this “story” is not considered a tale written by the imagination of its author Joseph Smith, the founder of the Mormon religion, but rather a story told through him by the Creator Himself–according to Smith and his followers, God visited the Azteca and Middle American cultures first by sending Jesus to their settlements, long before Jesus made his way to Euope and the Middle East. They likewise paint their faces red, blue, etc., and then they look like the Devil himself. They smear their heads with bear’s-grease, which they all carry with them for this purpose in a small basket; they say they do it to make their hair grow better and to prevent their having lice. When they travel, they take with them some of their maize, a wooden bowl, and a spoon; these they pack up and hang on their backs. Whenever they are hungry, they forthwith make a fire and cook; they can get fire by rubbing pieces of wood against one another, and that very quickly. turkies, as large as [those] in Holland, but in some years less than in others. country lions, bears, wolves, foxes, and particularly very many snakes, which are large and as long as eight, ten, and twelve feet. In the spring, they catch vast quantities of shad and lampreys, which are exceedingly large here; they lay them on the bark of trees in the sun, and dry them thoroughly hard, and then put them in notasten, or bags, which they plait from hemp which grows wild here, and keep the fish till winter. When their corn is ripe, they take it from the ears, open deep pits, and preserve it in these the whole winter. They can also make nets and seines in their fashion; and when they want to fish with seines, ten or twelve men will go together and help each other, all of whom own the seine in common. This diet has an impact on their health. In particular the consumption of “vast quantities of shad and lampreys” results in a heavy and seasonal consumption of gadoleic acid and the GLA’s (Omega fatty acids). Longevity is a trait this nation bears due to this nutrition habit typical of east coast “Woodlands Indians” (if we use the old cultural method of defining particular living styles). They reside inland during the cold months and along the shorelines or close to large water bodies during the warmer months. Like we see with nearly every other description penned about the New World and God’s offerings, there is also the story of the Rattlesnake. This story tends to have a number of different versions, some just focused on the description of the rattlesnake and its unique tail anatomy, and other focused on the ability of the snake to “charm” its prey using these rattles. Yet another type of tale commonly seen for rattlesnakes pertains to the story of how the rattlesnake venom poisons its victims, resulting in various signs described in numerous ways throughout the colonial literature. The most important part of this story pertains to the differecens between the indigenous philosophy and the European philosophy. This is covered extensively elsewhere, numerous times, and along numerous different historical and story telling avenues, but the most important concept to understand regarding the rattlesnake natural history is that the Indigenous people believed in something akin to invasion of animal spirit, whereas the Europeans interpreted the ability of snake venom to take a life as a result of humoral imbalances. Whenever the ability of the snake to chamr its prey came into the story, there was also this belief that the snake and/or its venom had some unusual metaphysical power that made it able to charm its prey and be so deadly with just such small amounts of poison or venom. This even led Cadwallader Colden to believe in the mostly metaphysical parts of this story, to such an extent that even non-venomous snakes were able to charm their pray according to some of his writings–the prime example of which was the Black Snake residing on his farming lands in Coldenghamiae, NY, around 1735. They are obliged to cut wood, to travel three or four leagues with the child; in short, they walk, they stand, they work, as if they had not lain in, and we cannot see that they suffer any injury by it; and we sometimes try to persuade our wives to lie-in so, and that the way of lying-in in Holland is a mere fiddle-faddle. The men have great authority over their concubines, so that if they do anything which does not please and raises their passion, they take an axe and knock them in the head, and there is an end of it. The women are obliged to prepare the land, to mow, to plant, and do everything; the men do nothing, but hunt, fish, and make war upon their enemies. They are very cruel towards their enemies in time of war; for they first bite off the nails of the fingers of their captives, and cut off some joints, and sometimes even whole fingers; after that, the captives are forced to sing and dance before them stark naked; and finally, they roast their prisoners dead before a slow fire for some days, and then eat them up. The common people eat the arms, buttocks and trunk, but the chiefs eat the head and the heart. The women, when they have been delivered, go about immediately afterwards, and be it ever so cold, they wash themselves and the young child in the river or the snow. They will not lie down (for they say that if they did they would soon die), but keep going about. 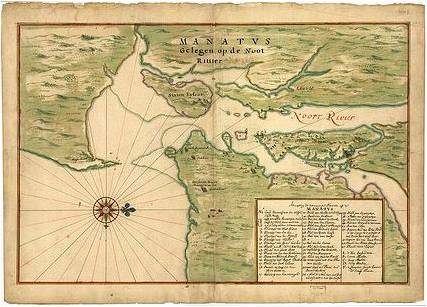 Adriaen VanderDonck wrote a fairly lengthy story about his first travels along the Hudson River in 1650. He was exploring land he was about to obtain a Patent for, from the mouth of the Hudson River to a section of the river are far north as the Mohawk. His land is currently known as Yonkers, a modification of the Dutch rendering of the names for this land as Doncker’s Land and the like. Vander Donck provided one of the best lengthy reviews of the local flora for this time, and the names he at times provides to these plants imply a transfer of common names for Old World plants to New World plants due to visual resemblances. A number of these herbs noted appear to be first time discoveries, but due to questionable identifications we cannot be certain of this. Adriaen Vander Donck’s writing and method for interpreting the landscape, the local landschappen, is very similar to to that of the Livingstons one century later. Botanical materials are to be reviewed elsewhere on a separate page at this site. Corn. In 1650, Cornelis Van Tienhoven mentioned Indian Corn. See http://en.wikipedia.org/wiki/Cornelis_van_Tienhoven. For more on Tienhoven see http://www.billsbrownstone.com/notorious/vanTienhoven.asp. Legal battles related to dominated Tienhoven’s later years in Manhattan. Also known as “Cornelius”, “Cornelis”, “Lucasz”, and “Lucassen” he was born in 1611, in Breukelen, Sticht Utrecht, Holland, Republiek der Zeven Verenigde Nederlanden; he purportedly died 1656 in New Amsterdam, New Netherlands . Serving under Kieft in 1641, he was associated with two attacks upon local Raritan Indian villages, blaming them for steeling hogs. The later became known as the Hog War. In 1643, he assisted Director Kieft initiate a massacre in Shrovetide against the Weckquaesgeeks. This initiated two years of war between the Dutch and local Indians, leading the Dutch to replace Kieft with Peter Stuyvesant. Kieft was also assocaited with several events which today might be considered rapes. Most involved the local Indians, but at least one involved a local resident basketmaker’s daughter, whom he had seduced through a conversation. 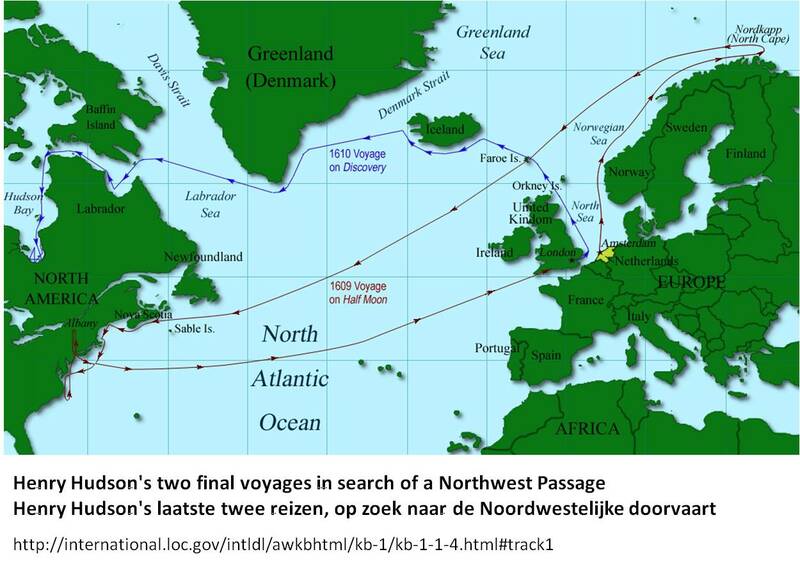 see also http://nl.wikipedia.org/wiki/Nieuw-Amsterdam_(Nieuw-Nederland) and LOC site http://international.loc.gov/intldl/awkbhtml/kb-1/kb-1-1.html. Provides a short but detailed listing of herbs (p. 4). Describes the Medicine Man (p. 10). Noted black Walnut. Cedar, Cyprus, Chestnut, Poplar, Gumwood, Hickery, Sassafrax, Beech, Swamp Chestnut, Spanish Chestnut and Red, White and Black Oak. David Pietersz De Vries, 1633-1643. Corn. David Pietersz De Vries (1633-1643 (1655), p. 218-220. Most of these notes are from the LOC version at http://international.loc.gov/cgi-bin/query/r?intldl/awkb:@field(DOCID+@lit(gckb032_0001. This is a translated rendering of the following: Korte historiael, ende journaels aenteyckeninge van verscheyden voyagiens in de vier deelen des wereldts-ronde, als Europa, Africa, Asia, ende Amerika gedaen, door D. David Pietersz. de Vries … waer in verhaelt werd wat batailjes hy te water gedaen heeft: yder landtschap zijn gedierte, gevogelt, wat soorte van vissen, ende wat wilde menschen naer ‘t leven geconterfaeyt, ende van de bosschen ende ravieren [sic] met haer vruchten . . . Vries, David Pietersz. de, fl. 1593-1655. 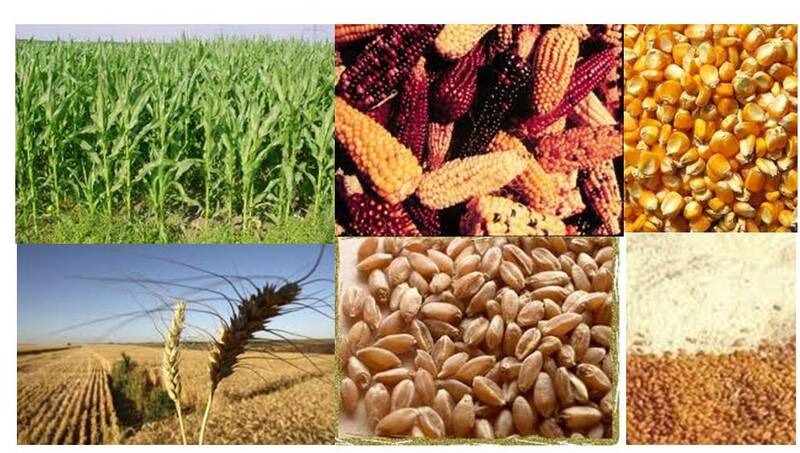 “There is a species of large wheat, called maize, or Turkey wheat, like that of Virginia, which grain is a peculiar provision for this country, and is very productive, yielding a thousand or fifteen hundred for one, and frequently more. It makes very good flour for bread, and good malt for beer or ale, and serves various necessary purposes for the support of man. Of the before-mentioned cassava bread, and of this Indian corn, they make a liquor, which they call passiauw, which must be used in four or five days. They make also another beverage of cassava, … which they prepare in large pots, and boil it, as they do beer in Holland. It foams, and is as good and strong as the beer of Breme, but it is somewhat hot; it has, also, as high a colour as Breme beer, and can be kept good ten days. The fruits are of various kinds: pineapples, plantains, potatoes, medlars, plums of different sorts, nuts of curious shape. The pineapple, or ananas, is as excellent and as large as that of the East Indies ; no better fruit can be found ; the flavour is like that of a strawberry and a ripe pippin ; the potato is well known ; the medlars are very large ; the plums are not to be praised, because, when plentifully eaten, they cause a diarrhoea, which in this country, is very dangerous according to my observation ; and so of the common greens of the country, napi, which are not unlike the eastern reuven. There is a tree, which grows here, as large as a pomegranate tree, with pale-green downy leaves, and white flowers, but of more leaves, and of no scent; from the blossom, first comes only a large bean, like the kidney of a rabbit, from which grows a fruit in the shape of a pear, and the bean remains hanging below it ; there is a pit in it, which tastes like a hazel-nut, and under the skin is an oil, which is good for inflammation in the face. Of the Commodities of the Country. The most important production of this country is the sugar-cane, of which there are immense quantities. The land is as well adapted to it as any in the world. It grows very large in a little time; and by cultivating, and the erection of proper buildings for extracting the sugar, which would cost a good deal at first, great wealth would be realized, as we can see has been done by the Portuguese, in Brazil and elsewhere. Cotton is a general article of merchandize, and is very useful for merchants and for us, to make fustians and bombazines and other goods, and also to make hammocks which are the beds of the Indians, and very necessary in this region and calicoes. There is, besides, a kind of hemp or flax, of great value, almost as fine as silk, and can be used like it; it makes very excellent linen. They have here peculiar dyes, one of which is called Au-noto [Annato], which grows on trees as large as cherry-trees. These trees bear large nuts, which burst open when they are ripe, and within the kernels of which are small berries of a red colour. These, well prepared by the Indians which they do with palm-oil produce a perfect dye of a fast orange colour ; but the Indians cheat much by mixing cassava with it. There is another berry, which dyes a blue colour ; and a certain gum of a tree, which makes a perfectly fast yellow ¦ colour in cloths ; and leaves of trees, which, properly prepared, give a deep red colour. There is also a wood which dyes purple, and is of great value ; and another, which yields a yellow dye ; besides many others, undoubtedly, which are as yet unknown ; but which, by careful search, will some time or other be discovered. Many aromatic gums are found here ; but as I have no experience in the science, I know not what virtues they possess. Cassia fistula and senna-leaves grow here, and the earth yields Armenian bole. There is a tree, with which they catch their fish, worthy of special consideration. It grows generally near their dwellings ; and when they wish to go a-fishing, they carry some branches of it to the creeks, which at high water are for the most part full of good fish. They take the sticks and beat them upon the stones until they become as soft as flax; and running up the creek, which they had previously stopped up at high water with the branches of other trees, they throw this wood, which they had by beating made like flax, into the water when it is half run out. When the fish come swimming to the surface of the water, they become intoxicated [*]; and, finding the creek stopped up at its mouth, they leap upon the land. Some come floating belly upwards, and are scooped up out of the water ; or, if they still swim, they are shot with arrows through the body, so that any one can catch as many as he wishes. “We will now speak of the Productions of the Country, and other things which serve for the support of the life of Man. “They say that during the months of June, July, and August, it is very unhealthy ; that their people, who have then lately arrived from England, die during these months, like cats and dogs, whence they call it the (sickly) season. When they have this sickness, they want to sleep all the time, but they must be prevented i’rom sleeping by force, as they die if they get asleep. This sickness, they think, arises from the extreme heat that exists there. Then, again, when it has been a half-an-hour very hot, if the wind shifts and blow from the northwest, it immediately becomes 80 cold, that an overcoat may be worn. Thus, this country appears to lie in the dividing line between the heat and the cold, while New Netherland is beautifully tempered. See http://en.wikipedia.org/wiki/George_Alsop. Also George Alsop, A Character of the Province of Maryland, (1666; reprint Cleveland, OH: The Burrows Brothers Compay, 1902), 55. Father Andrew White, 1634, 1635. FOOD. Southern Fruit noted by Rev. Andrew White, or maryland, include Oranges, Limes, Lemons, Peaches, Guava, “Charybbian Pineapple,” Plantain (fructus platani), “Avato” (Avacado? ), and “Wilde figg tree.” Other trees noted include “Rope Trees” (Ficus sp.? ), Monkey tree, Cinnamon Tree (White Cinnamon? ), and “Maw forest” tree. HERBS. Herbs noted by Rev. Andrew White in 1634: saxafras, and “sallad-herbes.” (Rev. A. White, 1634, p. 35-37,40). In 1635, the Relation sent to England noted the trees and timber, “rootes in the woods, doe feede the swine very fat,” and “In the Spring, there are severall sorts of herbes, as Corn-sallet, Violets, Sorrell, Purslaine, all which are very good and wholsome, and by the English, used for sallets, and in broths.” He also notes “Earth fitt to make Allum, Terra lemnia, and a red soile like Bole armoniacke.” Other products: pitch, tarr, flax, woad, aniseed, saffron, and Mulberry to feed the silk worms. Various typical garden vegetables are noted.(Rev. A. White, 1635, pp. 79-82). 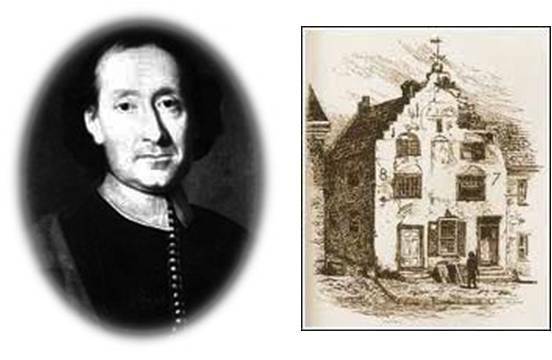 Harmen Meyndertsz Van Den Bogaert . A Journey Into Mohawk and Oneida Country, 1634-1635: The Journal of Harmen Meyndertsz Van Den Bogaert [ed. General James Grant Wilson], 1634-5.